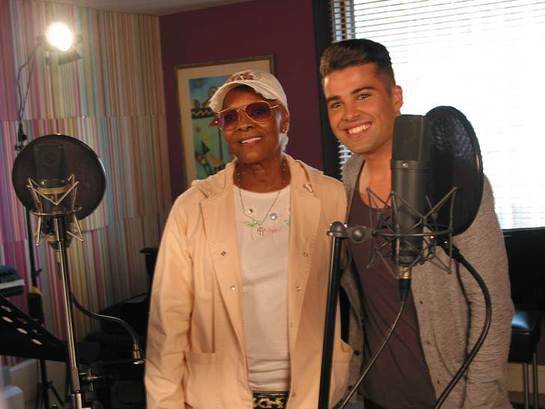 The Hunger Project announces the global launch of a new one-of-a-kind single performed by five-time Grammy award winner, Dionne Warwick together with X-Factor winning pop icon, Joe McElderry in time for World Hunger Day 2013 on May 28th. Music Royalty doesn’t get much greater than the legend that is Dionne Warwick, the third most charted female artist of all time (equal with Madonna). Dionne, together with the stunningly successful young British artist Joe McElderry, is stepping up for the sustainable end of Hunger this May 2013 with the launch of a new first-of-a-kind duet, entitled ‘One World One Song’. This spectacular anthem is launched on 27th of May as a global digital release with pre-orders available from 17th of May. In addition to the Single itself, an instrumental/karaoke ‘You Sing’ version is being launched in tandem (with sheet music) – for aspirational singers, bands, choirs, youth and faith groups as well as arts’ societies to perform and share the world over. ‘One World One Song’ was written from the campaigning heart of Chronic Persistent Hunger, co-created by The Hunger Project UK’s Country Director, Tim Holder in partnership with legendary songwriter, Tony Hatch (‘Neighbours’, Petula Clark’s ‘Downtown’ and ‘Crossroads’). The Single’s production team includes award-winning producer Toby Alington (Adèle and Emeli Sandé) and Orchestral Conductor for The 2012 Olympics’ Closing Ceremony, Steve Sidwell. Also performing on this epic production are the voices of London Community Gospel Choir, the full orchestra of Southbank Sinfonia and the 60-strong World Hunger Day Youth Choir. 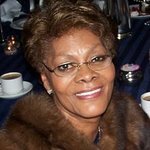 According to Dionne Warwick: "’One World One Song’ is a wonderful and uplifting anthem, written especially for The Hunger Project, much like ‘We Are The World’ and ’That’s What Friends Are For’. Music has a very powerful ability to engage people and we hope you will enjoy listening to this song, but also hope that it will inspire you to join us in the fight to end hunger and poverty. The date for the Nation to unite for the ending of Chronic Persistent Hunger is World Hunger Day 2013 (28.05.13) when Joe McElderry will be singing his own version of ‘One World One Song’ live, at the iconic PizzaExpress Jazz Club in London, which has played host to great artists including Ella Fitzgerald and Amy Winehouse. The ‘One World One Song’ single will be available to buy as a pre-launch sale from 17th May 2013, for global digital release on 27th May 2013. All proceeds will be donated to The Hunger Project UK. In addition to the launch of ‘One World One Song’ all artists have kindly volunteered their time and beautiful voices to the Single itself and also a series of World Hunger Day Unplugged Concerts, hosted by PizzaExpress Jazz Club in London. For more information about ‘One World One Song’, World Hunger Day Unplugged and the launch of this formidable charity single, click here.